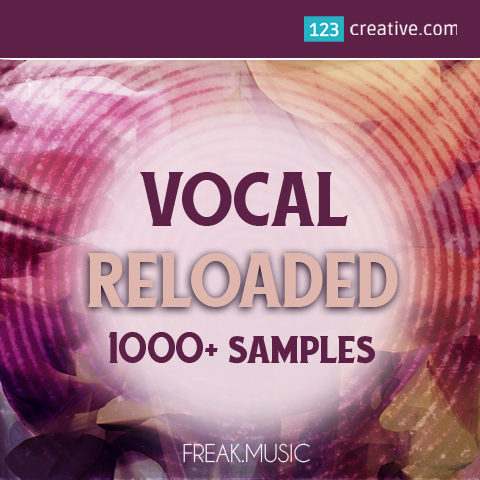 123creative has released Vocal Reloaded - 1000+ vocal samples and loops in cooperation with Freak music. - a collection of 1201 professional vocal samples and loops. This pack is dedicated for every trap, electro, Drum and Bass, Dubstep, Drumstep, EDM, Hip Hop, Progressive, Pop and whole EDM producers. It's as easy as drag & drop. - 24-bit and 16-bit WAV files.